This past week I attend a mission conference organized by Briarwood Presbyterian Church (PCA) under the theme, “Leading the Nations to Christ” taken from John 12:21. Briarwood family was also amazingly hospital and generous with their time and resources as they cared for missionaries who came from at-least fourteen countries. I have lost count of how many times I have been prayed for or being promised to be constantly prayed for as we embark on God’s work in Malawi. It didn’t take me long to realize that Briarwood is a praying church and understands that one of the great gifts they can give to missionaries is prayer. Interacting with other missionaries was also a huge blessing. It gave me an opportunity to hear great things the Lord is is doing in all the continents including the closed countries. The promise of Christ that he will build his church and the gates of hell will never prevail against is ever true. What a blessing to hear that a church in one of the closed countries is is one of fastest growing churches in the world. It was a good reminder of the truth that is regularly emphasized in the book of Acts that despite the persecution of the church, the word of God increased and the church grew in numbers. The organizers of conference also organized a cake baking competition in which children, teens, and adults were challenged to bake a cake for a missionary and the best cake in each of these categories will receive $500 which will go to the accounts of the missionaries. I was humbled to see love for missions even from children. About 30 children baked cakes for missionaries. The icing on the cake for me was to hear that the cake that was baked for my family as missionaries to Malawi was the best in the teen’s category. I am very thankful for Emma Grace. This girl has great love for missions and great baking talents. She is also excited about our work of planting confessional Presbyterian churches in Malawi. She gave her all and managed to win for me and my family $500. I also enjoyed making presentations to a group of college students, high school seniors and juniors. The young people were excited to hear what God is doing in Malawi. 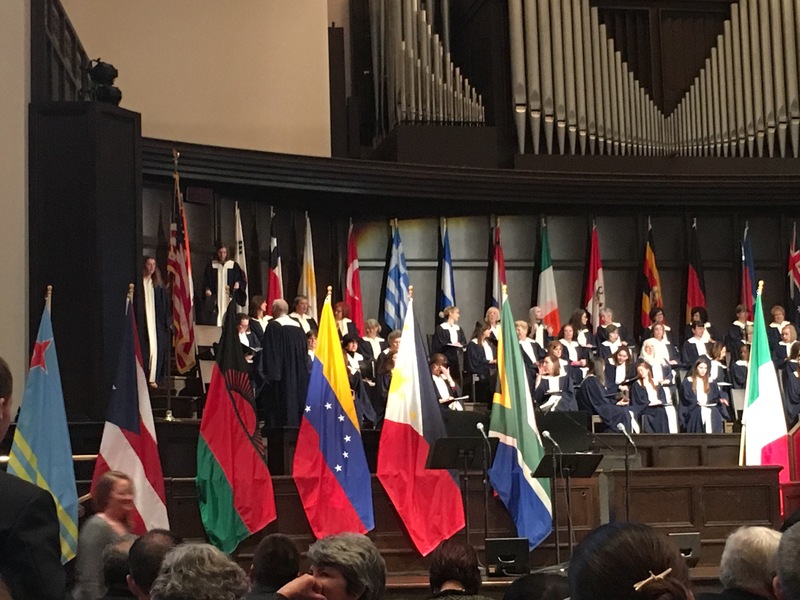 I am very thankful for Briarwood’s commitment to Great Commission and to the work of making Christ known not only in Birmingham but the rest of the world. Their mission statement fully captures it all: “To equip Christians worship God and to reach Birmingham to reach the world for Christ.” This, I can say without the fear of contradiction, is what really makes the heart of Briarwood beat. To God alone be the glory! I have just received the news of the passing of Rev. Dr. John W. Chinchen also fondly known by many of his students as Rev. Jack. Dr. Chinchen was the founder of African Bible Colleges (ABC) in Liberia, Malawi, and Uganda. He was also my professor of homiletics (preaching) when I studied at ABC Malawi over a decade ago. As I reflected and thanked the Lord for Jack’s life, three fond memories of him stood out in my mind. They all begin with the letter, H.
First is Holiness. Jack preached and encouraged his students to pursue holiness without which no one will see God (Heb. 12:14). His Exodus sermon series titled, “The Highway of Holiness” remains one of impactful sermons on my life. As ABC family mourns his passing, I am comforted to know that he is now walking on this highway and beholding the glory of the one who is Holy, Holy, Holy. Second is Humility. Jack demonstrated true humility of a Christian leader in a number of ways. One example that remains vivid on my mind is watching him caring the lawns of ABC Malawi campus. During the day, and sometimes during the night, one would see him going around the campus repositioning sprinklers. This other day, one of ABC labourers told me that Jack put on gloves and helped him repair a broken sewer line. As the president of the college, he did not have to do it. But he gladly chose to do this menial work, probably with the intention to demonstrate to his students and the workers that godly leadership is never void of humility and service. Third is Homiletics. Jack was a man who loved and preached the gospel with passion. I recall the Tuesday mornings during my time as a student at ABC when Jack stood on the pulpit of the Kirk of the Hills Chapel and took us through various books of the Bible: Exodus, Nehemiah, Ezra, Colossians and impressing upon our hearts the truths of the gospel. I will remain grateful for one time when he spent about an hour with me in his office critiquing and guiding me in writing and preparing my first sermon series from the book of Jonah. Jack is now with the author of Scripture. He no longer needs to hear a preacher like me expound it. As he rejoices in the presence of the Word, I will continue to preach the scripture as he encouraged and charged me until the day I will meet him again in the glory of our Lord and Savior, Jesus Christ. 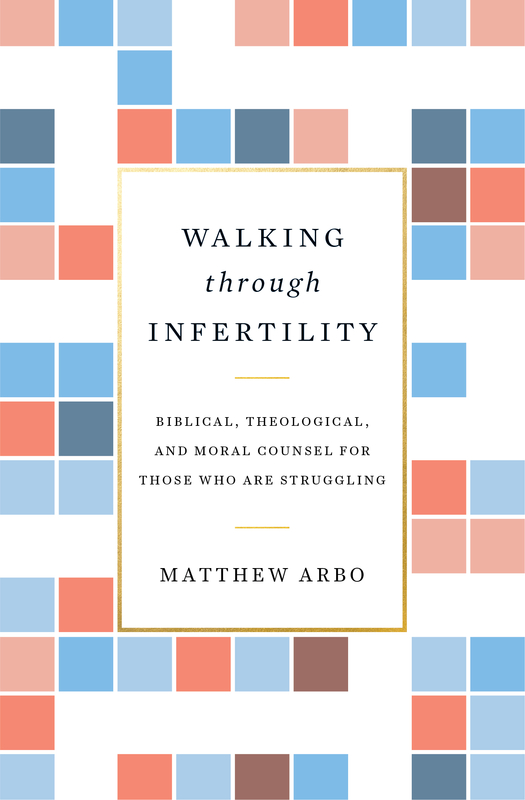 I was drawn to read and review Walking Through Infertility: Biblical, Theological, and Moral Counsel For Those who are Struggling by Matthew Arbo because my wife and I have a number of friends who are experiencing infertility. Furthermore, for the short time that I have been in ministry, I have come to discover that this is not uncommon problem among God’s people. The book is primarily written for couples who are not able to have their own biological children and secondarily for those who desire to minister to them. Its main purpose is “to address biblical, theological, and moral questions surrounding infertility. The aim is to instruct and inspire the church, especially, those couples with personal experience with infertility” (p. 21). Walking Through Infertility is divided into four main chapters. The first chapter surveys the biblical stories of infertility and how God proved his faithfulness to his people. The second chapter focuses on following Christ despite the trial of not being able to have your own biological children. The third chapter centers on the church and how a childless couple can find help and comfort from fellow believers. The last chapter analyses various ethical and moral considerations regarding modern methods of helping infertile couples to conceive and give birth. I would say that the book’s greatest strength lies in the last chapter. Arbo goes into detail to explain the modern reproductive technologies and the ethical dilemmas they pose to Christians. In as much as we should thank God for the advancements in modern medicine and medical innovations, we also need to be aware that not all of them are without moral quandaries. Arbo’s discussion of intrauterine insemination (IUI), intro vitro fertilization (IVF), and surrogacy is outstanding. I would greatly recommend any Christian who might have questions or considering these reproductive technologies to prayerfully read this section. IUI involves a medical expert taking a man’s sperm and inserting it into a woman’s uterus during ovulation to increase chances of conception while IVF is very complex and involves a medical expert taking a man’s sperm and woman’s eggs and fertilizing them in a laboratory and later implanting the embryo in the woman’s uterus. Surrogacy entails a couple contracting with a woman to carry their biological child to term and surrender it back to them at birth. As you might see these methods raises a number of ethical and theological concerns. Should or can a Christian use any of these methods with a clear conscience? This is why I say that the last chapter is the best part of the book. Not only because of its biblical and pastoral approach to these ethical issues but also because it explains very complex reproductive technologies in an easier to understand language for less scientifically sophisticated Christians like me. Disclosure: Crossway has given me a courtesy copy of the book for this review. “In the sixth month the angel Gabriel was sent from God to a city of Galilee named Nazareth, to a virgin betrothed to a man whose name was Joseph, of the house of David. And the virgin’s name was Mary. And he came to her and said, “Greetings, O favored one, the Lord is with you!” But she was greatly troubled at the saying, and tried to discern what sort of greeting this might be. And the angel said to her, “Do not be afraid, Mary, for you have found favor with God. And behold, you will conceive in your womb and bear a son, and you shall call his name Jesus,”(Luke 1:26-31). First, Mary as a descendant of Adam was a sinner just like every one else born in this world (Romans 5:12). In fact just like Jesus’ great grandfather, David, Mary was also brought forth in iniquity and in sin did her mother conceive her (Psalm 51:5). Second, Mary was from a poor background. In her song of praise also known as the Magnificat recorded for us in Luke 2:46-55, she confesses of her humble estate and says: “My soul magnifies the Lord, and my spirit rejoices in God my Savior, for he has looked on the humble estate of his servant” (46, 47). Later she adds, “For he who is might has done great things for me…he has brought down the mighty from their thrones and exalted those of humble estate (49, 52). Third, Mary was from a very little known village of Nazareth. She was neither from the capital of Israel nor any of its big cities. The insignificant village of Nazareth was not even mentioned in the Old Testament or other Jewish literature of that time. It is also believed that it was a popular saying in those days in Israel to ask the rhetoric question, “Can anything good come out of Nazareth?” (John 1:46). Yet it is to this obscure village, which nobody expected anything good to come out of that God went for the choice of the mother of his incarnate Son. Mary’s story resembles the story of our salvation. God chose to save us through Christ not because he saw anything special in us to move him to act in our favor. Apostle Paul reminds us: “For consider your calling, brothers (and sisters): not many of you were wise according to worldly standards, not many were powerful, not many were of noble birth. But God chose what is foolish in the world to shame the wise; God chose what is weak in the world to shame the strong; God chose what is low and despised in the world, even things that are not, to bring to nothing things that are, so that no human being might boast in the presence of God. And because of him you are in Christ Jesus, who became to us wisdom from God, righteousness and sanctification and redemption,” (1 Cor. 1:26-30). This, friends, is the heart of Christmas. God “tabernacled” with us not because we were lovely, righteous or friendly. To the contrary, God came to dwell with us despite being lowly, sinful, and with rebellious hearts. He came to save us from our most pitiful and hopeless state and to enable us sit with him in heavenly places (Eph. 2:6). Praise the Lord for his gracious and sovereign choice! 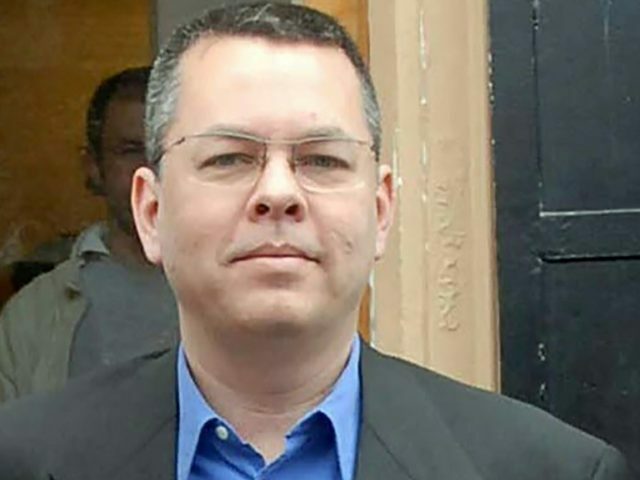 This is the question that came to my mind this afternoon as I was reflecting on the news of the release of an American pastor, Andrew Brunson, who was being held in prison and later under house arrest by the Turkish Authorities for the last two years. I should highlight on the onset that I have never met Bruson neither do I know him personally. The only connection I have with him is our common faith in Christ. But I got more interested in his case begin from the day he was arrested. On that day I was undergoing licensure examinations on the floor of the Northeast Presbytery of the Associate Reformed Presbyterian Church (ARP) in Maryland. Soon after the examinations one of the pastors at the Presbytery meeting whose church had previously supported Bruson as a missionary shared with the meeting about his arrest and asked us to pray for him. We prayed. I also continued to pray for him as often as I remembered. So, this afternoon when I received an update from ARP magazine that Bruson has finally been acquitted by the Turkish court, a great joy of thankfulness filled my heart. I praised the Lord for answering prayers of thousands or even millions who were praying for the pastor. But it wasn’t long before my joy was consumed by this question: Why did it take this long before the Lord answered the prayers of his people. Why did the Lord wait for two years to answer the prayers of Bruson himself, his family, relatives, and others saints including the ARP Northeast Presbytery? I don’t have the answer to this question? I don’t even know if anyone has the answer. But as I continued to ponder, Romans 8:28 came to mind: “And we know that in all things, God works for the good of those who love him, who are called according to his purpose.” It also dawned on me that I am not the first one to wonder. David as he was passing through trials and prayed also wondered “How long O Lord will you forget me forever? How long will you hide your face from me? (Psalm 13:1). David had prayed for a “long time” but the Lord seemed not to respond with the needed promptness. For we’ll understand it better by and by. Praise the Lord for the release of Brunson. Praise the Lord for many prayers that the saints throughout the world sent before the throne of grace. Praise be to God for answering our prayers. To Him alone be the glory, forever! It is my humble estimation that Charles Haddon Spurgeon is one of the most gifted preachers of the post Reformation era. His sermons still come alive when read today. It is little wonder then that many have labeled him the prince of preachers and deservedly so. But who was this man? Apart from his preaching what else can a Christian learn from his life and ministry? What did he teach and believe about the Christian life in this fallen world? These are some of the key questions that Michael Reeves answers in his book Spurgeon on the Christian Life published by Crossway in 2018. Reeves himself captures the essence of his book in the introduction by observing, “This book is about Spurgeon’s theology of the Christian life…Spurgeon was unreservedly Christ-centered and Christ-shaped in his theology; and he was equally insistent on the vital necessity of the new birth. The Christian life is the new life in Christ, given by the Spirit and won by the blood of Christ shed on the cross” (p. 16). 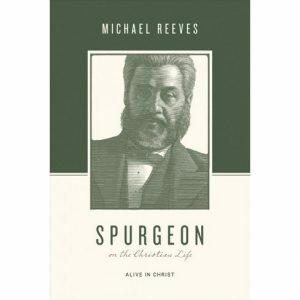 In the first part of the book, Reeves focuses more on the life of Spurgeon. He shows how Spurgeon was a tender, affection, and generous man of deep affection for people. Spurgeon’s sense of humor could also hardly be concealed even when he was on the pulpit. In the second part, Reeves dwells more on Spurgeon’s love for Christ and his word and how this love shaped Spurgeon’s life and ministry. He also shows how John Calvin, the Puritans, and the Reformed theology significantly impacted Spurgeon’s preaching. The third and fourth parts of the book center on Spurgeon’s beliefs and teaching regarding new birth, baptism, sanctification, prayer, Christian’s suffering, and final glory. Though not a full biography of Spurgeon I would highly recommend this book as an introduction to the life and ministry of Spurgeon, especially, for those who hardly know this man or have read little about him. Many primary sources have been cited in the book, which also act as excellent materials for further study or exploration. These primary sources also allow Spurgeon to speak for himself what he believed about the Christian life. The other strength of the book is that it is very engaging and is easier to read. Many sections of the third and fourth chapter are also good devotional materials. As the title suggests, my initial expectation was to see more of what Spurgeon believed about many aspects of the Christian life. However, you don’t get to that until you reach the third and fourth parts of the book. This, in my view, is one of the weak areas of the book. In addition to that my fellow Presbyterian and Reformed friends would find the section on Spurgeon’s beliefs about infant baptism, I prefer to call it covenantal baptism, to be the gloomiest part of the book (pp. 89-91). Reeves focuses more on what Spurgeon believed were the errors associated with paedobaptism without making a fair presentation of what actually the Reformed faith teaches about covenantal baptism. May be that was beyond the objectives of the book; nonetheless, I wish Reeves would have at least briefly provided some biblical grounds why Presbyterians and Reformed believers baptize their children as well as highlight that covenantal baptism is not a baptismal regeneration as Spurgeon incorrectly argued. All in all, Spurgeon on the Christian Life is a good book. It is well researched and provides a good starting point to get acquainted with the man who many fondly remember as the prince of preachers. Spurgeon on the Christian Lifewill definitely leave your mind informed and your hart warmed. *Crossway has provided me with a complimentary copy of this book. Many readers of this post would know Martin Luther and John Calvin. These are the names that usually come to mind whenever we think of the Sixteenth Century Protestant Reformation. But how many are familiar with Martin Bucer? How many of us will be able to write at least a paragraph on this reformer? The point I am trying to drive home by these questions is that unlike Luther and Calvin, Bucer is one of obscure reformers of the Sixteenth century. Yet he was the man the Lord used to mentor the great theologian of the Reformation era, John Calvin. Martin Bucer was born on November 11, 1491 in the town of Schlettstdat in France. Later, he became a Roman Catholic monk in Dominican order. 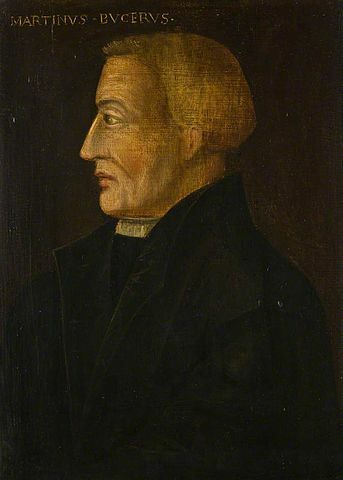 In 1581, Bucer was in the city of Heidelberg, Germany when Martin Luther came to the city for a disputation. In the debate, Luther asserted God’s sovereign grace in salvation and that salvation is by faith alone. This marked the turning point for Bucer who attended the disputation. He fully embraced the doctrines of grace and began to preach the same. He later settled in Strasbourg and labored faithfully in teaching, preaching, and shepherding God’s people for years. Somehow, John Calvin came to know Bucer and wanted to spend the rest of his life in Strasbourg writing and laboring alongside him. So in April 1536, Calvin left Paris for Strasbourg. But due to the war between King Franz I of France and Emperor Karl of Austria, he could not take a direct route. He decided to go through Geneva. In Geneva, William Farel, another reformer, persuaded him to stay and co-labour with him. So Calvin settled in Geneva and began to biblically reforming the church but some resisted Calvin’s reformation efforts. Eventually the Genevan city council expelled Calvin from the city in 1538 and he headed to Strasbourg where he labored with Bucer and pastored a French refugees church for three years. In the period of three years, the Lord used Bucer to mentor the younger Calvin. Calvin himself wrote this of Bucer: “(Bucer is the man of) profound scholarship, his bounteous knowledge about a wide range of subjects, his keen mind, his wide reading, and many other different virtues, remains unsurpassed today by anyone, can be compared with only a few, and excels the vast majority.” Undoubtedly, Bucer had a great impact upon the great theologian and pastor yet Bucer remains little known to many today. Again, the point I am trying to put across is that just like in the Bible where we have saints who were used mightily by God but are little known, we also have little known reformers who played a great role in the Reformation. Bucer is an encouragement to many who are laboring faithfully for the Lord yet the world knows little or even nothing about them. Your faithfulness is not nullified by your obscurity. The Lord sees it and he will surely reward it. Not all of us were predestined to be the “Calvins.” Some of us are the “Bucers,” but in everything we ought to be thankful and give glory to Christ for he is really the one who is at work through us all (1 Cor. 3:6-11). Keith Mathison, Ligoneir Ministries, http://www.ligonier.org/blog/martin-bucer-reformer-and-his-times/ accessed on November 30, 2017.